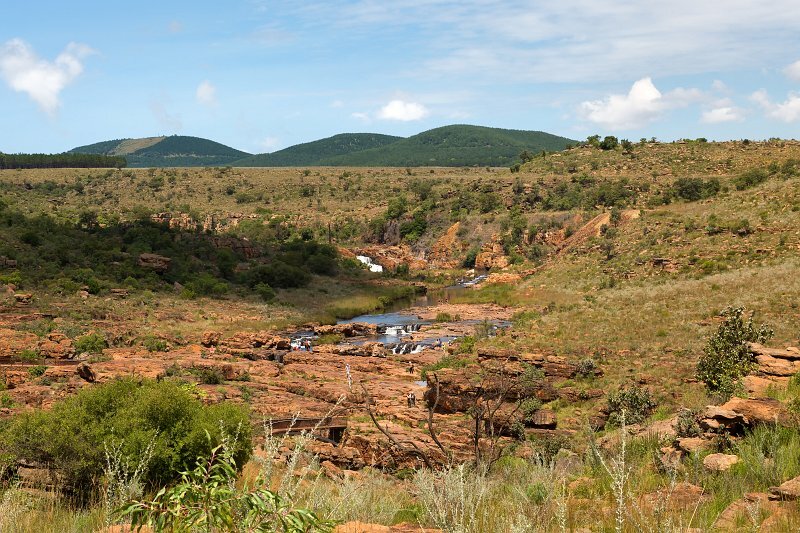 This geological feature and day visitors' attraction, is situated at the confluence of the Treur and Blyde Rivers, on Blyde River Canyon Nature Reserve's western boundary. Sustained kolks in the Treur River's plunge pools have eroded a number of cylindrical potholes or giant's kettles, which can be viewed from the crags above. It was named after a local prospector, Tom Bourke, who predicted the presence of gold, though he found none himself. The pedestrian bridges connect the various overlooks of the potholes and the gorge downstream.